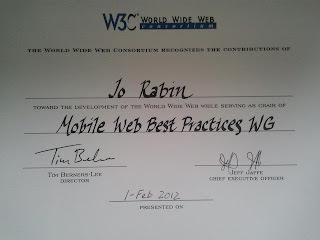 I don't really know why, but ever since I first heard of the W3C I'd wanted to participate in it. 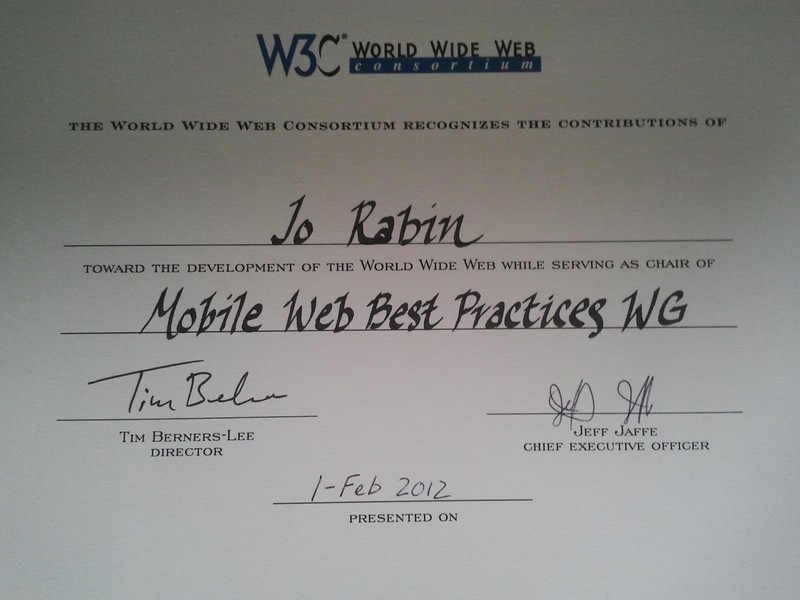 Quite out of the blue, roughly 10 years later, I got the opportunity in 2005 when I started representing dotMobi on the Mobile Web Best Practices Working Group. I went on to edit, co-edit or somehow to create or co-create 8 W3C documents and also to co-chair the working group. In the course of all that I got to research many Web related topics and I got to think about the Web in a way that I hadn't had the opportunity to before. The Web is quite the most remarkable thing. It continues to grow and to expand. Its social consequences are immense. Only retrospect will tell us exactly how immense. Despite all this, I have some concerns. They are born out of the experience I mention above. There's quite a lot about the Web that could be better. There are some aspects of how it works that may prevent it - as W3C puts it, achieve its full potential. I've been meaning to write about those concerns ever since closing down the working group in December 2010. I didn't make a start immediately, partly because I wanted to think about what I was saying with the benefit of distance. It's partly because although my desire, or need, to write some of this stuff comes from quite a few moments of head-scratching as to how to represent "Best Practice" - by and large I have not been a participant in the proceedings that created what we have today, so it has to be said that I speak mainly in ignorance of what has been considered before. However, the fact that the Web is what it is without all that much structured explanation of why it is what it is is certainly noteworthy. It was partly also because it's easy to be a critic and really not so easy to propose remedies. A rather sweet gesture I thought. And a sign. Time to start writing. I still don't have many remedies. But then it would be kind of presumptuous of me to think that I was in an instant going to solve the world's problems. It's maybe a starting point for some discussions. I don't claim that what I write about hasn't been thought about elsewhere, or expressed more clearly elsewhere. And I don't expect this will all be about the Web, either.